I snagged these two from the shelves of our new public library and simply devoured both of them. That's right: we mostly survived moving to a far away place where we had no family! Anyway, I figured that I needed to fill in that gap in my graphic novel education and read this book. So I picked it up the other day. It was fantastic! 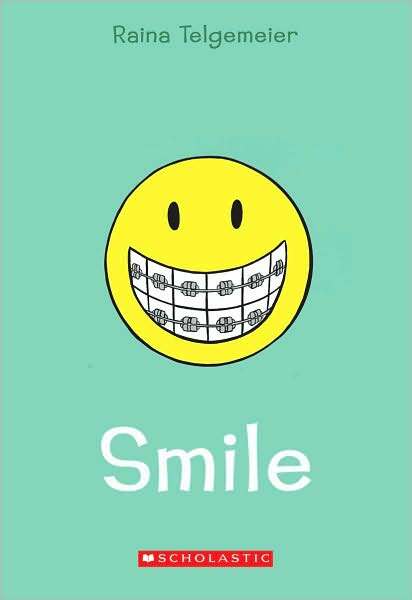 Having been through oral surgery, braces, and orthodontic appliances of my own, I really related to Raina. (The book is autobiographical.) Oh goodness! 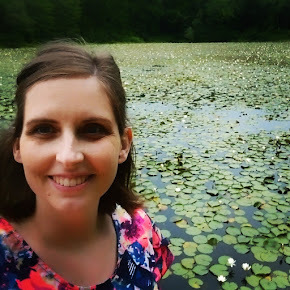 The pictures and descriptions brought it all right back, and it has been more than 10 years since the orthodondist declared I was done. The art is fantastic -- it's clean, colorful, and easy to interpret. The plot is great. I mean really, sometimes the true story is so much more compelling than the fictional one. 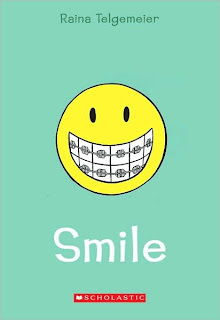 For me, Smile was much more enjoyable than Telgemeier's latest graphic novel, Drama, which has a fictional protagonist. I liked that one, too, but I'd rate Smile higher. If it sounds interesting to you, give it a try. It's a good book. *Fun Fact: Raina Telgemeier is married to Dave Roman, whose stuff I have enjoyed! This one is a middle grade fantasy novel. I had heard so much good about it (read: like 20 bloggers I trust saying things like "It was so awesome. I cried.") that I decided to give it a go. However, since everyone said they cried, I knew I had to wait for the right time to read it. That time came, and I loved the book. Plain Kate is a beautiful and sad fairy tale. It is not a retelling of a familiar fairytale, it is a fresh plot and set of characters. I loved the Eastern-European setting, which gave the story dimension but didn't intrude or overwhelm the simple hero's journey plot. I also appreciated that the plot was not complicated by a romance or a love triangle. 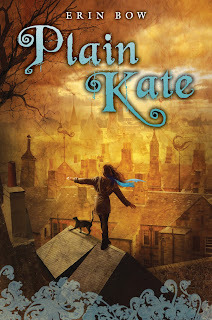 I really found myself rooting for Kate, and thoroughly appreciated the complex character of the book's villain(s). I mean, Plain Kate had to overcome lots of things that various people did or said to her, and there was one main antagonist. But I'd be hard-pressed to put people into "good guys" and "bad guys" groups. Many of the characters did both good and bad. So, in that way, I guess it is not like a fairy tale. Fairy tales tend to have good guys and bad guys very clearly set out. But the simple quality of the writing, and the inclusion of some magic (as well as fear of magic) gave it a very fairy-tale feel. It was a great read. I would highly recommend it. Also, I did not end up shedding tears.